This city driving game is full of surprises! 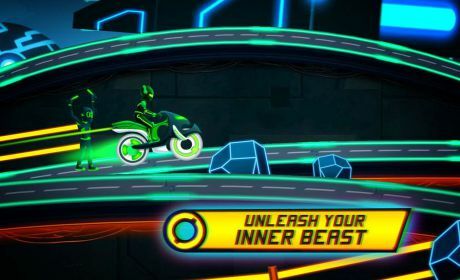 Other neon riders are fast and unpredictable, so keep an eye on them! Forget the limits, drive on the top speed. There is no time for breaks, no space for mistakes. The real traffic racer can control his motorcycle as professional. 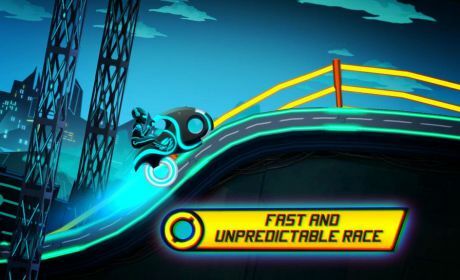 Be ready to race on dangerous bridges, moving constructions or even through neon rings! Make your superbike flipping. Some sections of race track are very risky, so drive carefully and watch road signs! With your motor bike make incredible stunts, front and back flips. Enjoy 2 worlds in: Cyber track and Neon city which contains 24 levels. Stay cool neon rider and complete them all. Use arrow buttons to overcome complicated sections of race track. Collect coins and come back everyday for gifts – new superbikes! Try new feature – bike customization. It’s so fun to ride on custom bike! After modifications, you can drive any kind of motorcycle: sports bike, enduro street bike, chopper or touring bike. Remember that the power of highway rider is nothing without control. Try to focus on road track and keep motor bike safe. ◆ Ready, set, GO with the orange button and reach top speed as fast as possible! ◆ Use ARROW buttons to do flipping. ◆ Do not forget to come back everyday to COLLECT COINS. Use them to get a new racing bikes and unlock new worlds. This educational app is a free to play. Take care of your highway rider and enjoy bike racing at it’s fullest! Motor bike games are good for learning to STIMULATE your reaction, DEVELOP hand-eye coordination, self-preservation and self-control. 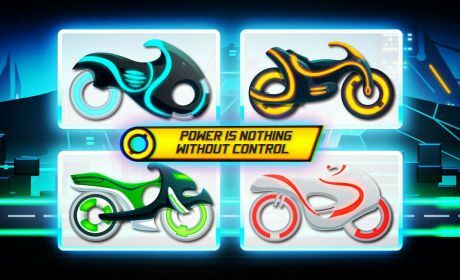 IMPROVE problem solving, quick decision making and flexible thinking skills in all our motorcycle games. Even tough neon riders need some breaks! Let your highway rider get some rest and play these funny mini games: Balloon Pop, Puzzles, Memory Game, Coloring book and Match Shapes. This fun game of highway rider is completely free to play, but it also offers in-app purchases.